These free Cinco de Mayo coloring pages will give you a chance to celebrate the history of Cinco de Mayo with your child while they color and decorate festive Cinco de Mayo images. 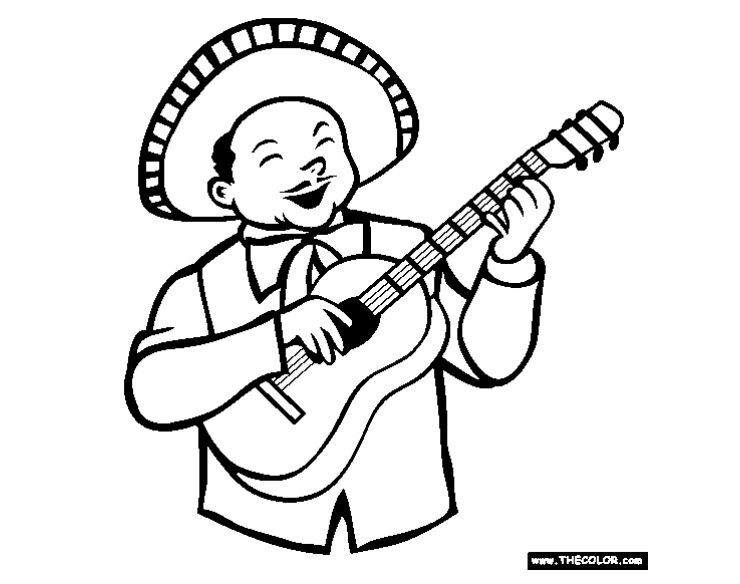 You'll find all sorts of images in these Cinco de Mayo coloring pages including Mexican food, flags, dancing, pinatas, sombrero, maracas, Mariachi singers and bands, guitars, maps, and many more fun pictures. There are coloring pages for all ages of kids from preschool to middle school, and even some for the adults. Just take a look, and you'll find the perfect coloring page for yourself, your students, or your child. All these Cinco de Mayo coloring pages are free and can easily be printed on your home printer. Just be sure to follow the printing directions on each website to get the best results. Food, celebration, and history are all the themes of these free Cinco de Mayo coloring pages that can be printed in black and white or colored online. If you find a Cinco de Mayo coloring page that you especially like here, you can even rate it to let others know. Doodle Art Alley has some Cinco de Mayo coloring pages that are great for older children as well as those adults who love to color. There are coloring pages here of cactus, jalapenos, maracas, and more. Click on the page you like and then use your browser to print this free PDF file. Most the Cinco de Mayo coloring pages here feature the phrase "Cinco de Mayo" along with a matching image, but there are also some that show the images that make Cinco de Mayo so popular. Click on the Cinco de Mayo coloring page you'd like to download to open a PDF file of that page. You'll find images of dancing, singing, cooking, and celebrating on these free Cinco de Mayo coloring pages. These Cinco de Mayo coloring pages open as PDF files making them super easy to print. There are only a couple of Cinco de Mayo coloring pages over at Crayola, but I had to include them because they are some excellent ones. Choose from a Cinco de Mayo dancer or a Cinco de May pinata coloring page and use the print buttons to access printer's dialog box. 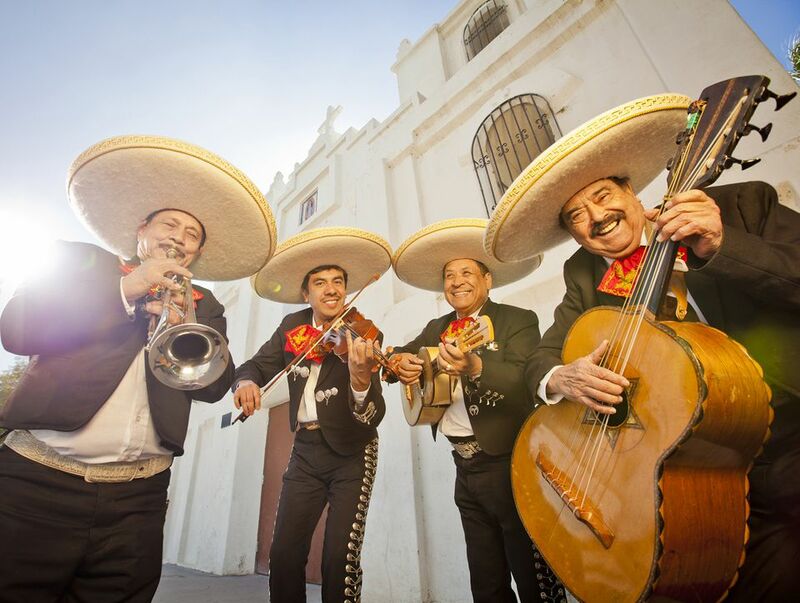 Coloring Home has a nice group of free, printable Cinco de Mayo coloring pages that include images of cacti, pinatas, sombreros, Mariachi bands, and people celebrating. To print one of these free Cinco de Mayo coloring pages, click on the thumbnail and then use the Print This button to open it up in your browser's print preview. Super Coloring has 20 free Cinco de Mayo coloring pages that you can print off in a matter of seconds from your home printer. You'll find festive Cinco de Mayo coloring sheets that include images of maracas, hot chilies, masks, sombreros, and more. The Cinco de Mayo coloring pages at Apples 4 the Teacher includes images of pinatas, peppers, food, and Mexico maps and flags. These Cinco de Mayo coloring pages can be printed out as traditional coloring pages or colored online. Cool2bKids has a handful of free, printable Cinco de Mayo coloring pages that feature cactus, sombreros, singing, guitars, peppers, maracas, the Mexican flag, food, skulls, pinatas, ​and a free Cinco de Mayo crossword puzzle. Click on the image once to make it larger and then print it directly from your browser. The free Cinco de Mayo coloring pages at Best Coloring Pages for kids include animals dancing across the May calendar, sombreros, guitars, maracas, singing, dancing, celebrating, cacti, peppers, skulls, and pinatas. Click on the coloring page thumbnail you'd like to print and then use your browser to print it out. Coloring 2 Print has 20 free Cinco de May coloring pages that have images of dancers, animals, maracas, skulls, pinatas, tacos, and parties. Click on the coloring page you'd like to print to open a larger image that you can print directly from the browser.